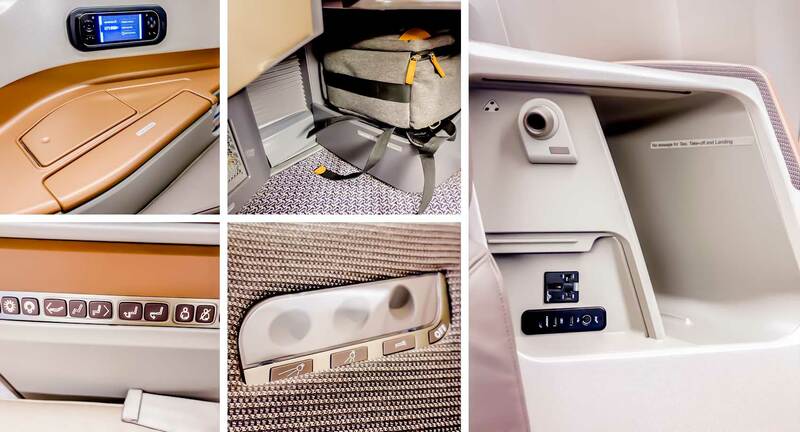 Flying business class is placed high up on my bucket list — besides, who wouldn’t want to travel in utter luxury, style, and comfort (with ample leg space), right? So, you could imagine how happy I was when I finally checked this experience off of my list last month when I said ‘YES‘ to Singapore Airlines‘ invitation of flying with them to New Zealand and back! Given that this was my first flight in business class, I was also quite giddy about the fact that it was with THE Singapore Airlines. After all, they have remained to be one of the top 3 airlines in the world for years; that being said, I was absolutely sure that I was going to have a great time with them — and I surely did! …It will be pretty tough to go back to economy class after this. This trip was in line with Singapore Airlines’ newly launched ‘Capital Express‘ service that links Singapore for the first time with the capital cities of both Australia and New Zealand. It operates 4 times per week on a Singapore > Canberra > Wellington routing + vice versa, and from Manila, Singapore Airlines flies to Singapore four times daily. (Otherwise, if you’re from Cebu, Davao and Kalibo, you can fly to Singapore via SilkAir). Coming from Manila, I first got on a flight to Singapore on SIA’s Boeing 777-300ER and it spanned for almost 4 hours. After a brief stopover hanging at their lounge, we proceeded to our final destination: Auckland, New Zealand. Going back, we flew on their Boeing 777-200 aircraft from Wellington, New Zealand to Singapore, via Canberra – Australia and then eventually made our way back to Manila. I will discuss in detail the airline’s lounge, business class seats, food, service, etc. after this section; but in case you’re more of a visual person, you can already check out my video below as I captured the whole of my experience on camera! BUSINESS CLASS: roundtrip fare from the Philippines to New Zealand is normally around $4,000++. However, from November 15 to 30, you can avail Singapore Airlines’ promotional fares for business class: Wellington (from $2,800), Auckland (from $3,000), and Christchurch (from $3,000). Travel period will be from November 20, 2016 to June 30, 2017. Customers availing of the Business Class promo fares are allowed to stopover in Singapore without an additional fee when going back to the Philippines. ECONOMY CLASS: from November 15 to 30, Singapore Airlines is offering promotional all-in roundtrip fares to Wellington (from $800), Auckland ($950), and Christchurch ($950) for travel from November 22 to July 31, 2017. PREMIUM ECONOMY CLASS: purchase an all-in plain Economy Class ticket to Auckland using your MasterCard credit or debit card and you can get a FREE one-way upgrade to Premium Economy Class! Just book your tickets starting now until November 11, 2016 through Singapore Airlines or SilkAir reservations/ticketing office for travel from November 2, 2016 to March 31, 2017 to avail this promo. Qualified customers must book and issue the complimentary one way Premium Economy Class upgrade the same time they purchase their roundtrip Economy Class ticket. Terms and conditions apply. What’s the awesome thing about Premium Economy Class? You get a wider seat that has better comfort, recline, stowage space, and in-seat features among many others. You can also select your inflight meal from Singapore Airlines’ signature ‘Book the Cook’ service, receive an exclusive amenity kit, and on-ground priority check-in and baggage handling (in addition to a baggage allowance of 35kg). SHOPPING VOUCHER: If you’re on transit in Singapore and originating from any of these countries: Australia, Bangladesh, Brunei, Cambodia, China (Mainland), Europe including Russia and Turkey, Hong Kong, India, Indonesia, Japan, Malaysia, the Maldives, Myanmar, Nepal, New Zealand, the Philippines, Saudi Arabia, South Africa, South Korea, Sri Lanka, Taiwan, Thailand, the United Arab Emirates or Vietnam — you will get a FREE $20 shopping voucher which you can spend on most of the establishments at Changi Airport. To claim, present your passport and boarding pass at the iShopChangi Collection Centres in Terminals 2 and 3. NEW ZEALAND VISA APPLICATIONS: Singapore Airlines PPS Club, KrisFlyer Elite Gold or Elite Silver passengers who hold passports from Philippines, China, India, Indonesia, Thailand and Vietnam can have their tourist visa applications expedited to 4-5 working days only (compared to the normal 15 working day processing)! 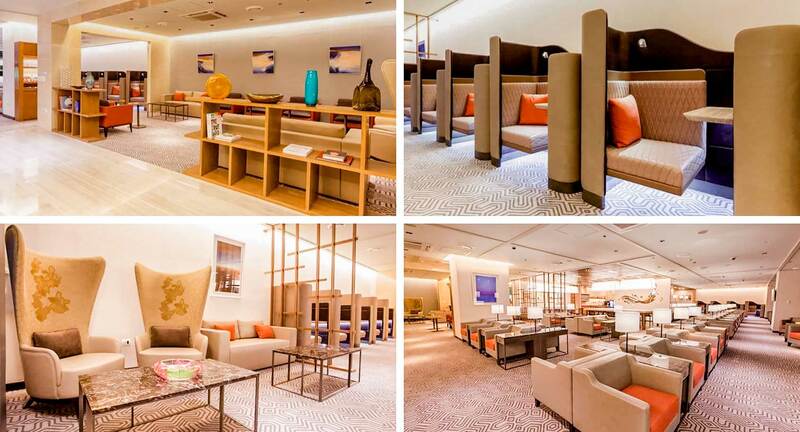 Singapore Airlines’ SilverKris Lounge concept is part of its ongoing program to upgrade all of its airport lounges around the world. The one that’s located in Manila’s Terminal 3 (NAIA 3) is actually the 1st of its kind to be built in Southeast Asia, and it’s even designed like a homey abode in order to make it as its passengers’ new ‘home away from home’. The food didn’t disappoint either as it provides a wide range of Singapore dishes (laksa, Hainanese chicken, etc. ), Filipino fare (Bicol Express, adobo rice, etc. ), western delights (pasta, etc. ), desserts (ice cream, pastries, etc. ), and drinks (wine, beers, juices, spirits, etc.). Rest assured, the SilverKris Lounge’s menu is regularly changed or updated in order to provide a variety of dishes! We obviously boarded different kinds of aircrafts for our flight to New Zealand (and back) — but this section, I will be focusing on the Business Class seats in their Boeing 777-300ER. With over 48 seats, I pre-booked my sport at a window seat (A or K), which I advise you should do as well if you don’t want a neighbor (typical of the middle seats D & F). Now, the first time that I saw my designated space, I couldn’t help but get all ‘giddy’ like a child! SEATING: It has a pitch of 55 inches — pitch means the space between your seat and the seat in front of you and 55 definitely means more legroom. Meanwhile, the width is at 28 inches and it can turn into a flat bed of 78 inches long with padded headboard for added comfort, and then recline at 132 degrees (which allows added seating positions such as Lazy Z and Sundeck). 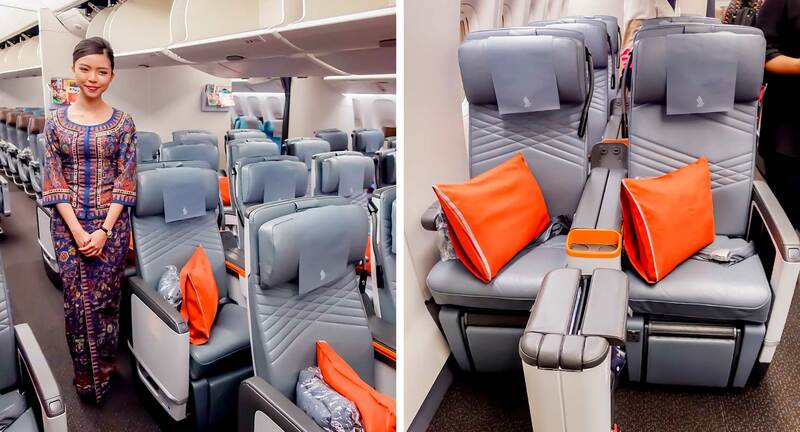 As I’ve mentioned at an earlier part of this post, these new Premium Economy Class Seats are a great upgrade option if you’re not that willing to shell out a lot of money for Business Class but are still looking for a more comfortable seat for your long haul flight. This seat class in the Boeing 777-300ER number around 28; they are able to recline and are at a pitch of 38 inches and a width of 19.5 inches. No matter what seating class you may be, I can assure you as early as now that Singapore Airlines will serve dishes that are of the highest quality! A brief background: ever since 1998, they have set up their own International Culinary Panel made up of award-winning chefs around the world and they are the ones responsible for creating the unique selections on board. 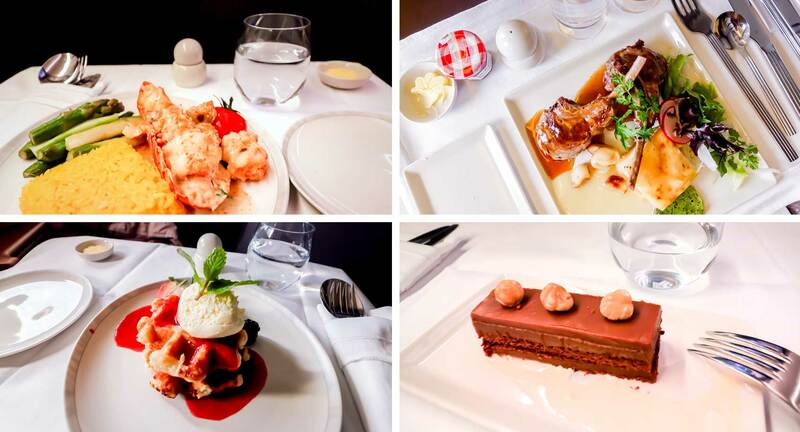 When you book into Suites, First, Business, and Premium Economy and fly into Singapore, the airline’s ‘Book the Cook‘ service becomes available which gives you the chance to pick from a range of gourmet main courses — all of which are exclusive creations by their International Culinary Panel. I booked all of my meals beforehand and when the ‘Book the Cook‘ service became available (which were 2 of my flights), I ended up picking the Roast Lamb Chops and the Classic Lobster Thermidor… and boy, they both tasted superb! The same goes for their standard meals too and I honestly never thought that ‘airplane food’ can be that good. 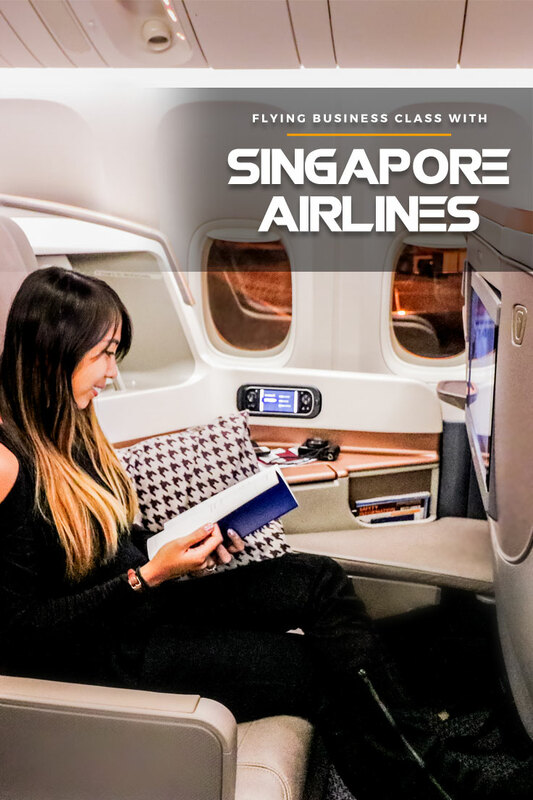 There’s a reason why Singapore Airlines has remained to be one of the top airlines in the world: they have state-of-the-art planes, gourmet-tasting food AND wonderful customer service. All throughout the flights that I took, I was offered champagne and juices the moment that I stepped into my seat, after the seat-belt sign was taken off, during idle times, and an hour before arrival. At one point, the crew even handed me a cute little stuffed bear to keep me company and to take home as a gift. Whenever I needed a magazine too, or if I needed assistance in laying down the flat bed, they were always prompt to respond with huge warm smiles on their faces. That didn’t stop there! During sleeping time, they would start to give me pillows, socks, a blanket, slippers, an eye mask, and a hot towel. Couple that with the constant stream of good food and snacks when I wake up later on, and naturally… I was soooo pampered — to the point that I didn’t want to leave the plane at all! My experience with Singapore Airlines was beyond amazing and you bet that I would LOVE to try this all over again, most especially when it comes to long-haul flights. Either way, when money just won’t cut it for a Business Class seat, there’s always the Premium Economy Class option for us which is more than sufficient for our flight needs of comfortability and style! So now, if you’re heading to New Zealand or to anywhere else in the world, do consider flying with Singapore Airlines because as you can see, you’re bound to have a fantastic time! FLY WITH SINGAPORE AIRLINES NOW! DISCLAIMER: Singapore Airlines sponsored my trip to New Zealand and back. Still and as always, all views that are expressed here represent only those made by myself and NOT of any other entity in their favor. 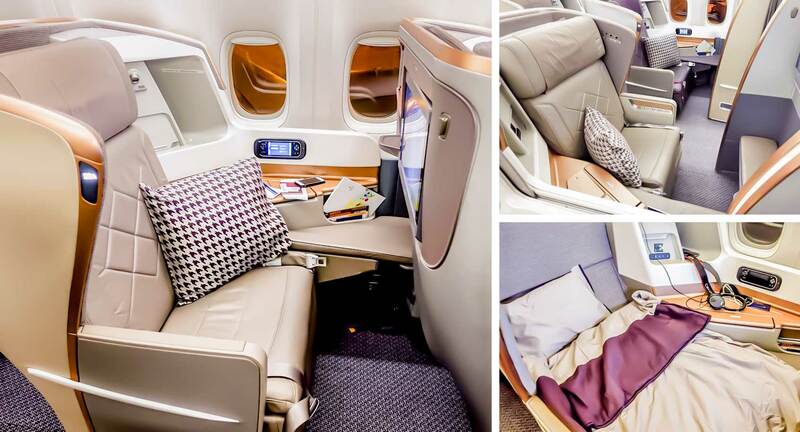 What do you think about Singapore Airlines’ Business Class? Would you like to try it or not? Or did you fly with them before? How was your experience? Wow! Like you say, very hard to go back to Economy Class after this! Was incredibly fortunate once to fly 1st on Etihad Airways (heavily discounted!) and I still think of the private cabins, flat beds and fabulous food! WOW! I think I would love to travel with Singapore Airlines! It looks like it would be a great experience and just all around relaxing! I love all the colors and modern details to their airline! It's very inviting!!! True that! And oooh, their service is superb, I'm telling you! WOW...just wow. I've never ever been on an airplane like that, and I can only wish to fly like you did. That's remarkable, almost unbelievable...it's that good. I hope to one day venture out to other parts of the world, and when I do, this would be the only way to go!! I am absolutely amazed at the space and homey feel of the seats! Wow! Reminds me of something that you would have seen in movies showing what the future would look like. Guess the future is here! Exactly! Like a lazy boy seat — but better! We need to indulge ourselves once in a while, indeed ;) Otherwise, a Premier Economy upgrade would suit anyone just fine for that added comfort during flights! 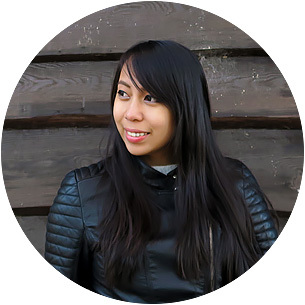 I'm happy to hear that Rhea :) Hope you get to check it off your bucket list soon! OMG! Now, you have just sold me on the thought that whenever I plan on taking a trip overseas I need to travel business class. Look at all th room and the food!!! I would be in heaven. I just hate about the price, but would save. I'm happy to hear that! But seriously, business class is just SO worth it. And no worries about the price, because with SIA's promos, they're quite a deal!